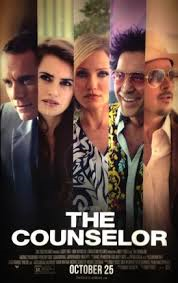 The Counselor opens in Australia on the 14th November 2013 and is distributed by 20th Century Fox. Now showing in the USA and will be released in the UK on the 15th November. 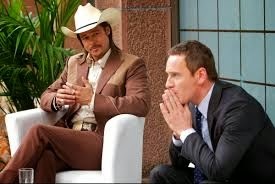 Ridley Scott's The Counselor has all the potential in the universe. Scott provides the film with a critically acclaimed and respected director, Cormac McCarthy a successful writer and a stellar cast make up the reasons why one would be forgiven for being excited about this film. After the film's 117 minutes, what you are left with is an air of confusion. Confusion as to what went wrong when you put together so much of what is right. However, at the same time, there are some incredible things about The Counselor, which makes it all the more confusing. Counselor (Michael Fassbender) has just got himself engaged and cannot resist the draw of earning just a bit more money to set himself and his fiancé, Laura (Penelope Cruz) up. He gets caught up in the business of drug trafficking by the hand of his friend, Reiner (Javier Bardem) and Westray (Brad Pitt). As a lawyer, Counselor is at the same time still conducting his business with his clients, until him doing his civil duty seems to intersect with the people he really didn't want to mess with in his money making scheme. Counselor is faced with a very real danger and must try to figure out how to save both the lives of himself and those close to him. What really causes The Counselor to suffer is it's screenplay. We have come to expect so much more from Cormac McCarthy than what he has given here. It is one of those stories you see play out on screen where you aren't quite sure if you are missing some important plot point, or if it is really a simple story pretending to be complicated. It is in this way that The Counselor find's it's confusion. It is a simplistic film pretending to be something more and confusing everyone in the meantime. The dialogue isn't particularly entertaining, with the exception being the unforgettable "car and catfish" scene. The majority of the dialogue is so dull that it affects your concentration levels, particularly in the first 20 minutes. Yet The Counselor is thankfully not completely void of suspense and intrigue, these moments just aren't as prominent as one would have liked. A fun game to play when Counselor and Westray meet for the first time, is to count how many times Westray un-necessarily says and oversues the word "Counselor" in the scene. The cinematography doesn't quite fail in the way that the screenplay does. There is some stunning photography and camera angles used throughout the film. Scott opens the film with an amazingly filmed bed scene between Counselor and Laura which feels graphic, but shows nothing to suggest that it is. Michael Fassbender does well with what has been given to him. His best moments on screen are towards the end of the film when his and Laura's lives are in danger. Fassbender still remains natural on screen and 100% believable in his execution. This is perhaps Cameron Diaz's best role to date. She plays Reiner's dangerous girlfriend, Malkina. Malkina is a particularly interesting character. You never know quite what she is up to and she has a tremendous amount of character. She is so different to any other role Diaz has previously done and shows Diaz at her very best. Javier Bardem and Penelope Cruz also do quite well, while Brad Pitt really isn't given too much to work with in order to turn out a notable performance on his behalf. The Counselor is not by any means a complete failure, but is not the masterpiece it could be with so many artists working towards it.